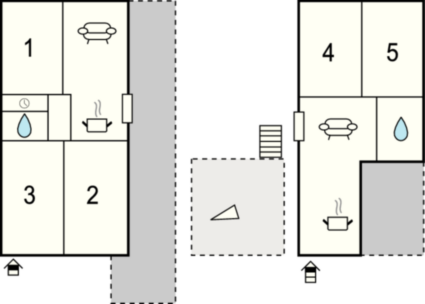 The holiday home consists of two spacious accommodation units connected by external stairs. It is pleasantly furnished and has all that is necessary for the holiday of a larger family. The holiday home consists of two spacious accommodation units connected by external stairs. It is pleasantly furnished and has all that is necessary for the holiday of a larger family. The main characteristics of this house are the large terraces around the whole house, most of them are overlooking the sea. The sea is nearby and the house is surrounded by nature. Below the house, ca. 30 m away there is a cemented beach with facilitated entry into the crystal clear sea. If you arrive with a boat, you can moor it here and have a look at it from the terrace. If you are a family with smaller children, ca. 100 m away there is a lovely pebble beach. The place Vinisce is small but offers all needed facilities for a pleasant stay. However, if you wish for some entertainment and fun, you can find it in Marina (ca. 8 km) or in the historical town of Trogir (ca. 25 km). This villa is made from brick or stone and was originally built in 1985 and refurbished in 2007. The agent has rated it as a three star property so it is a well-kept villa, equipped with standard furniture. It is also good value for money. 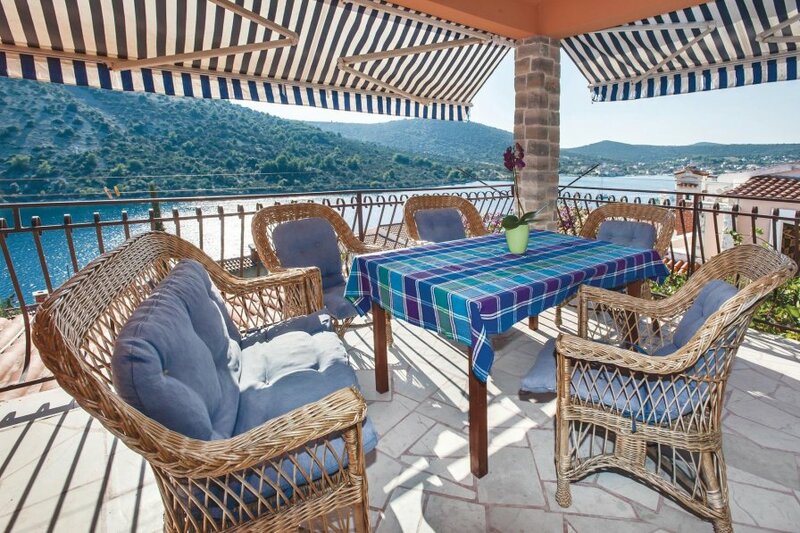 This villa has sea view and is located in Vinišće, only 8km from Marina. It is set in a very convenient location, just 150 metres away from a stone and pebble beach and 30 metres from a rock bound coast. There's also a restaurant only 150 metres away.